A pioneer in the small SUV segment, the Toyota RAV4 delivers on everything an athletic crossover promises with a combination of frugal fuel economy ratings, fun-to-drive performance, cavernous cargo space and a modern, new-age appearance. The current generation of the Toyota crossover is one of the most exciting to date, amplifying style with a sleek, aerodynamic package that also works to improve efficiency. With room for five, exceptional comfort, innovative technology and class-leading cargo space, the 2015 Toyota RAV4 near Lima, OH is an excellent option for families as well. An eye-catching style package and a well-equipped interior is underscored by dynamic performance characteristics and Toyota-brand reliability. 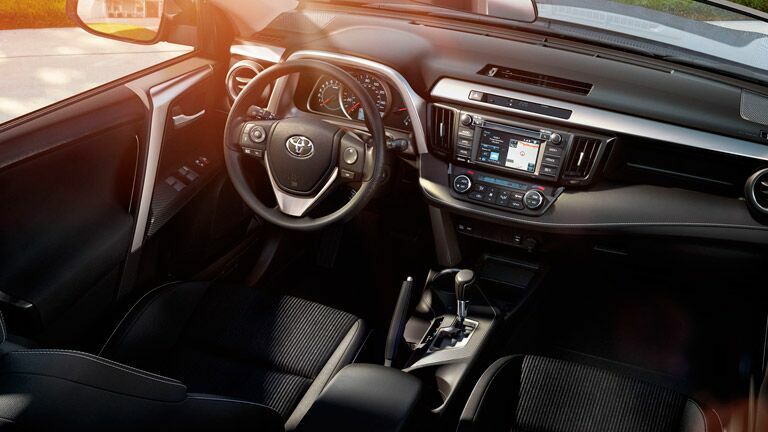 Available in three trim levels, the Toyota RAV4 has something for everyone, from the well-equipped base LE trim to the luxurious and loaded Limited trim that puts a focus on luxury and comfort. With standard features like a rearview backup camera and the Toyota Entune interface available throughout the model lineup, even base packages deliver unrivaled performance, entertainment and safety. Stop in today at Allan Nott and schedule a test drive in this impressive Toyota option. Interested in a 2015 Toyota RAV4? Capitalizing on the crossover platform, the 2015 Toyota RAV4 possesses a significant level of cargo space, that you won’t find in even the most spacious hatchbacks. Equipped with a low load floor, loading and unloading cargo is even more convenient and with 38.4 cubic-feet of space behind the second-row seats, there is more than enough. If you need even more space, the 60/40 split-folding rear seats can be laid flat, so you have 73.4 cubic-feet of cargo space at your disposal. Toyota Entune provides Columbus-area drivers with a vivid 6.1-inch touchscreen, Bluetooth hands-free capability, streaming audio, iPod and USB access as well as a crystal-clear sound system. An available power liftgate, dual-zone climate control, heated front seats and a power moonroof will amplify your Toyota driving experience even further. 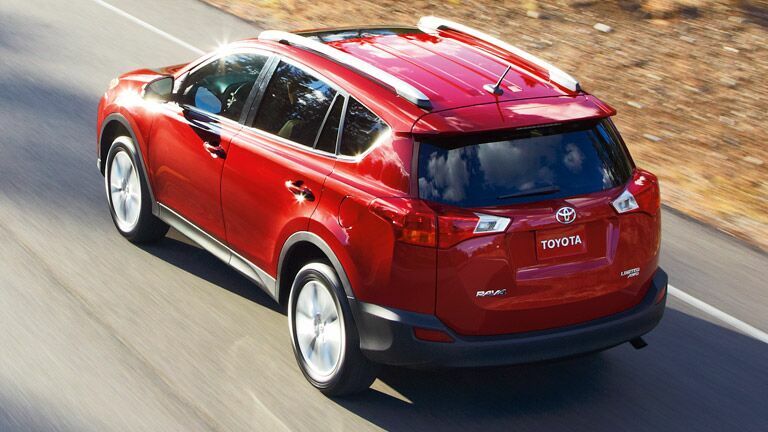 The best way to describe the power and performance of the 2015 Toyota RAV4 near Lima, OH is dynamic. Powered by a fun-to-drive 176-horsepower 2.5-liter four-cylinder with direct fuel injection, the Toyota RAV4 is both thrilling and efficient. Standard front-wheel drive editions will achieve a frugal 31 mpg on the highway and not break the bank when you head to the fuel pump. To further enhance your driving experience, the Toyota RAV4’s six-speed automatic transmission offers Sport and Eco modes to optimize shift timing and throttle response. When faced with harsh Columbus, OH weather, the available Dynamic Torque Control All-Wheel Drive is one of the most innovative on the road, upgrading your performance regardless of weather and road conditions.